When is it best to take a school group skiing? Best or cheapest? By far the most popular time for schools to take their annual ski trip is during the February half term holiday. You are likely to be constrained as to when you can go, but if you possibly can avoid the February holiday, you will get more ski holiday for your money. It is the middle of winter, the snow is good and demand goes through the roof, meaning ski operators can charge a premium. When Easter falls late, some resorts can suffer a lack of snow. And for the best value trip, early season is between Christmas and Feb half term. Why does the resort altitude matter? Snow sure resorts. The amount of snow a place can expect to receive is linked to its altitude, so while you may get a winter where snow falls all season long at altitudes below 1000m, if you are planning to take your school during early or late season, the higher the better. The snowline, where snow struggles to melt at all, is around 2000m. 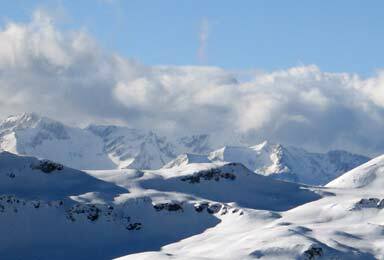 If your resort has piste skiing above this altitude, or has a glacier on which you can ski, you will see the term "snowsure" used. 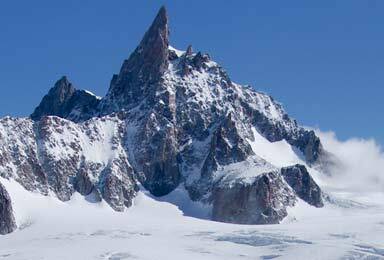 However, bear in mind that high altitude also means colder temperatures and often more extreme weather. And the type of snow. The other thing to look for is the type of snow. It may sound silly, but snow actually comes in a handful of different types. Ideally for a school group you want dry snow. You know when you try to make a snowball but it won't stick together – that is dry snow and it is perfect for beginner skiers as it slows you down and is more fun to fall in. What do all the colours mean on ski runs? How fast you zip down the mountain. Most school ski groups will be comprised of beginners, though you may have some accomplished skiers too. Resorts have nursery areas which are pretty flat and any first time skiers will spend a good chunk of their holiday here. Later on in the week you are going to want plenty of good green and blue runs available. Mixed ability groups will need access to red runs too, and if you have any would be professionals, then the black runs are the most difficult. What are the differences between an American School Ski Trip and a European one? It's mostly terminology The local lexicon switches "beginners" for "rookies" and "bunny hills" rather than "nursery slopes". Thanks to differing units of measurement, skiable areas are measured in acres, compared to the European kilometers of marked runs, and altitudes are measured in feet rather than metres. Runs similar on both continents, but in North America beginners are looking for green circles, blue squares for intermediates and black diamonds for the pros. Can we still go if we are a small group? Absolutely! As a rule of thumb, you are looking at a free teacher place for every eight children booked and you may be looking at an extra small group supplement, especially in peak season. Some operators specialise in combining small groups so that they can share the cost of transport to and from resort. If you are a small group, we will certainly help you find the most affordable option. Does our party leader need any specialist knowledge? Yes, there is a qualification. The ski tour operators work with hundreds of school groups and are there to help your trip run as smoothly as possible. However, most Local Authorities require the lead organiser to have at least the SCO (Snowsport Course Organiser) certificate. This is a fairly simple one day course. The next step is the ASCL (Alpine Ski Course Leader) certification. Run by Snowsport England, this course takes place on snow and is designed to give education visit leaders the knowledge and know how to run a successful trip. What type of accommodation is available for our group? 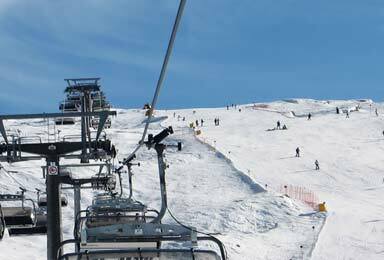 Please see our separate article on ski trip accommodation. Do all students have to have individual passports and visas? Yes and no. Schools may choose to travel on a collective passport, providing all students are less than 18 years old, are all British nationals, and the group leader is a full UK passport holder. For a more detailed explanation, please check with the ski tour provider or the Foreign and Commonwealth Office. Alternatively, each pupil may travel on their own passport. In terms of visas, if you have any non British citizens in your group, visas may be applicable. When travelling to the USA, your group should be OK to travel under the visa waiver programme, provided they do not have any form of police record(!) Again, check with the FCO for more information. How do we organise insurance for the students? Via the ski trip operator. All school ski trip operators can offer to provide insurance if you do not already have a policy in place that covers you. In addition to your ski insurance, if your school ski trip is in Europe, make sure your students have an up to date European Health Insurance Card EHIC Card which covers medical treatment - visit their website for more details and to apply for these free cards. How much does the average school ski trip cost per pupil? It depends. The cost of your school ski trip will fluctuate depending upon time to departure, the date of your trip, whether you are flying or taking a coach, the number of students you are taking, the type and location of the accommodation, the country and resort you wish to stay in, and a whole lot more. But in a nutshell, a typical European ski trip should cost you between £700 and £1100, and for USA and Canada between £1000 and £1500. What if there isn't any snow? Very unlikely. Even as the globe warms, given the dates you are likely to be travelling, you are unlikely to be stuck for snow. Most resorts have artificial snow making as standard and temperatures well above freezing are very rare. Check your group insurance policy for details of financial recompense should the worst happen, and if you are really paranoid, choose a resort that has skiing above 2000m or a ski friendly glacier where the snow won't melt even in summer. How much skiing will we actually do? Plenty. The amount of time you wish to spend in formal ski tuition will vary. Typically you are looking at around four hours each day (often this is the recommended amount from your LEA). Some schools choose to do less than this as it can be a lot for the children. Outside of your skiing lessons it is really up to you how much extra time you spend on the piste. All the good resorts we feature here will have plenty of other snow based activities to keep the children entertained, and quite a few resorts now have artificial lighting, so if you really want to, you can ski for anything up to 12 hours a day, though we would not recommend it. Do we have to write a risk assessment? Yes, you do. 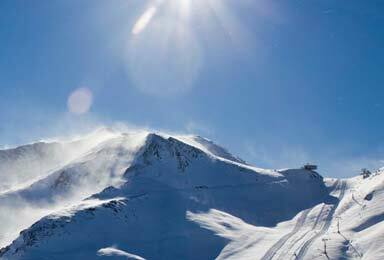 Most reputable ski operators will have a Safety Management System and will hold licenses such as ABTA and ATOL, and likely others. These will all help when you write your school ski trip risk assessment. The ski tour operator will be able to help you with any key information required in your assessment, and many will offer to take you on a preview trip, which will help you no end.